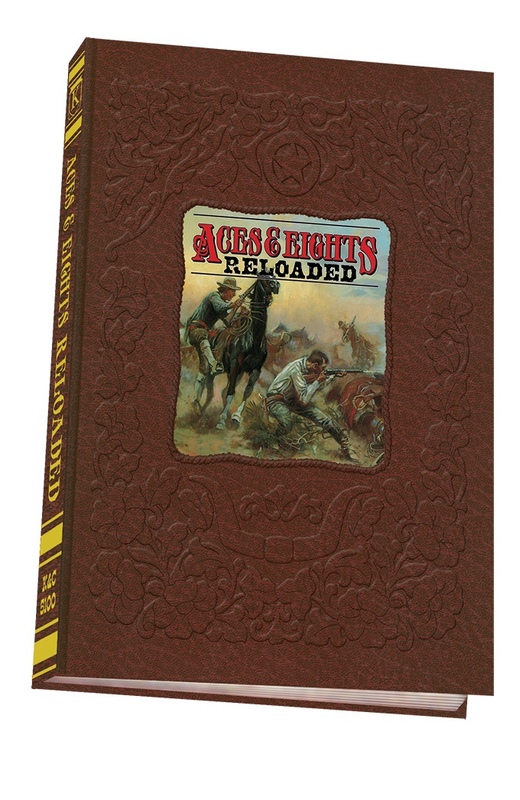 Let me start this by saying "I don't own the original Aces & Eights RPG." Its not that I wasn't interested in it. I was. I just never got around to grabbing myself a copy. +Jolly Blackburn was kind enough to give me an early peek a the KS page for Aces & Eights Reloaded and I must say I was impressed. Its a good looking project that is nearly completely written and its from KenzerCo - I've never seen Kenzer produce less than an excellent product. 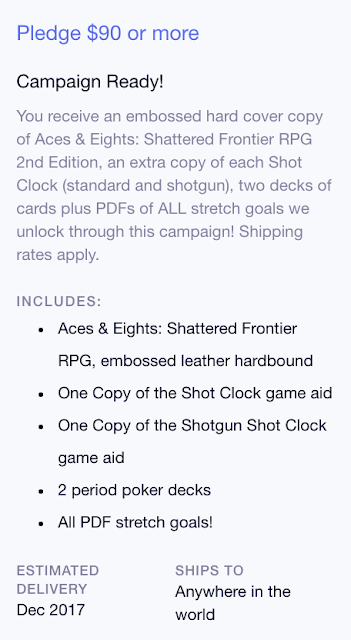 From Kenzer, I want to see the Cattlepunk PDF expansion! $40 for a PDF and $50 for a soft cover? And the printed levels don't include the PDF? Jesus, they get their pricing ideas from White Wolf/Onyx Path Publishing? Hard pass from a 1st Edition devotee. Good point on the pricing. Though, in practice, the Onyx Path stuff is worse because they never, ever send those books into distribution. With this you will at least see it for cheaper in a store or online down the line. Yeah, the POD version are only slightly cheaper. I mentioned elsewhere that Goodman Games and a couple other seem to have the right game plan for separating people and money that actually polite. 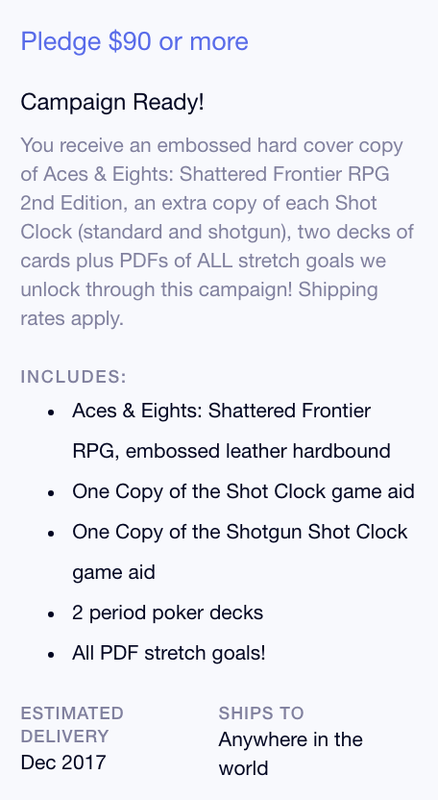 Fifth stretch goal should be unlocked sometime tomorrow I'm guess. And check those levels again. the PDF does come with many of the printed levels.